Jones Scaffold Co. has been providing high quality scaffold erection and dismantling services in the Greater Los Angeles area since 1964. For over 40 years we’ve provided scaffold to meet all our valued customers’ needs, large or small. We continue to be a leader in scaffold installations, rentals and sales. Our commitment to excellence is found in every service and product we provide. 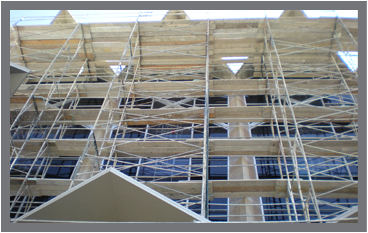 Let our staff take care of all your scaffolding needs on your next project.